This video demonstrates the Modular Airflow Bench (AF10) and a couple of its eight experiments for learning about the basic principles of aerodynamics. 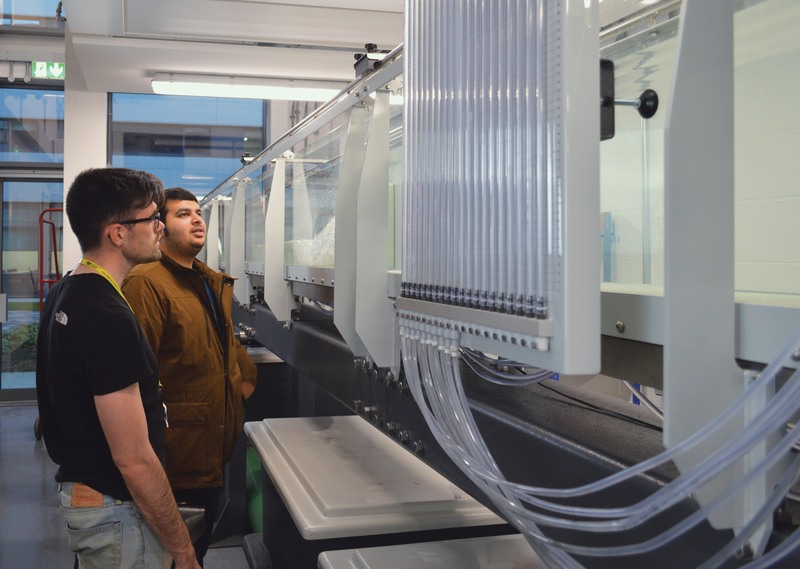 With the completion of the University of Derby’s STEM (Science, Technology, Engineering and Maths) centre, the academic team were very keen on expanding their fluid mechanics and hydraulics capabilities. They turned to the engineering education equipment market to source a large flow channel that would be accurate, provide excellent visualisation of flow channel characteristics whilst also being flexible enough to perform a wide range of experiments for undergraduate and postgraduate study and research. The limited space available within the newly built STEM centre meant that the challenge was on to deliver a 10 metre flow channel that would fit in-between pillars with a relatively low ceiling, while still enabling students to move around the apparatus. TecQuipment offers a range of flume/flow channel lengths and widths to suit the space available and learning outcomes required. From the narrower channels of 50mm width and 2.5 metres long, through to the wider 300mm width channels available in 2.5 metre steps between 5 metres, and 15 metres. It was the wider 300mm flume/flow channel in 10 metres (FC300-10) that the University of Derby selected for their fluids laboratory. Not only was this equipment larger than their existing flow channel and therefore made it easier to see the specific phenomenon such as hydraulic jump, it also had much more advanced measurement functionality. That functionality coupled with TecQuipment’s Versatile Data Acquisition System (VDAS) connected to a 32-way pressure display unit allowed for more in depth study and research. The limited physical size of the room with its various pillars and low ceiling was a point of concern for the team at the University of Derby. “One of the biggest constraints in our original specification was the space constraints in the room. TecQuipment were exemplary when dealing with this, by conducting a site survey of the space and having discussions about key dimensions within the room, such as columns. TecQuipment subsequently provided the University with floor plans and 3D views of the flume within the room, to give us peace of mind that the equipment will be useable within our space requirements,” explained Whomsley. The University of Derby already had a range of TecQuipment products within their engineering department and were confident in the quality of the products and ongoing customer support available, which contributed to the decision to select TecQuipment over other equipment providers. 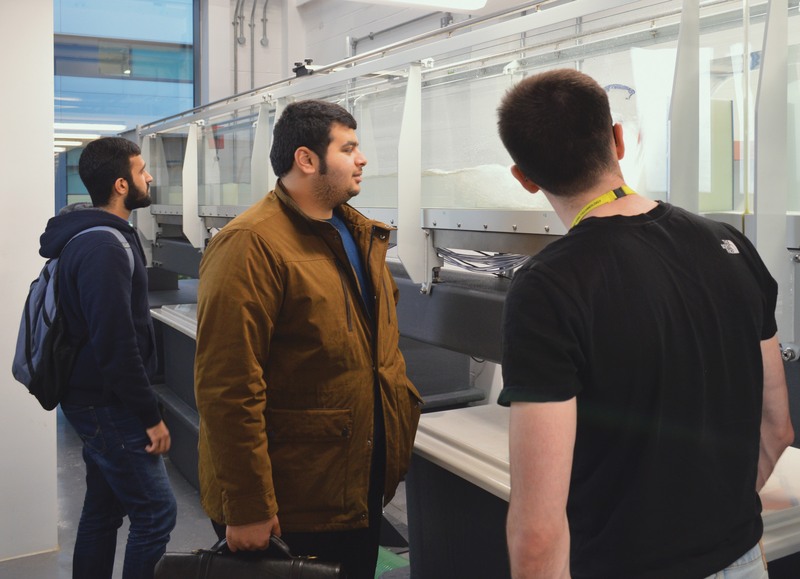 The University of Derby has recently gained a significant increase in credibility, particularly among universities offering mechanical engineering undergraduate and post graduate degrees within the UK, ranking 18th in the 2019 Guardian University League Tables. In another league table offered by the Times, they are ranked the 13th best university in the UK for teaching quality. In addition, the team at the University of Derby has a mission-focused outlook that aims to continue to attract well-motivated undergraduate and postgraduate civil engineering students, and prepare them for work within the growing water sector, offering a full range of courses in civil engineering (ie. MEng, MSc, BEng and BSc). “The experience throughout the whole process of buying the flume from TecQuipment has been very good. From when the order of the flume went in, we were given regular updates on the progress of the flume, alongside reliable delivery schedules. During the installation and induction, the team were professional and knowledgeable on both the practical and theoretical aspects of the flume,” explained Whomsley. “TecQuipment are well established as a provider of innovative and well developed science and technology equipment to the education sector, and having previous experience of the services offered and their reliability, then as a local supplier TecQuipment fit our needs. Installation of the equipment went smoothly including thoughtful and dedicated induction for both technicians and academics; the example experiments including example data are particularly useful. To date the FC300 flume/flow channel has been very effective in contributing to our objectives,” concluded Whomsley.